Today I’m sharing a bunch of vegan camping food ideas and tips so you can plan a plant-based camping trip. S’mores included, of course. Let’s dig in. We love getting out of the city and spending as much time as possible outdoors during the summer. We only get a few short months of warm, sunny weather here on the West Coast, so once it hits we really gotta take advantage. Camping is one of my favourite ways to do that. I have so many wonderful memories growing up camping with my family and it’s something I still love to do whenever we get a chance. These tips and ideas are for camping in a spot you can drive right in to. 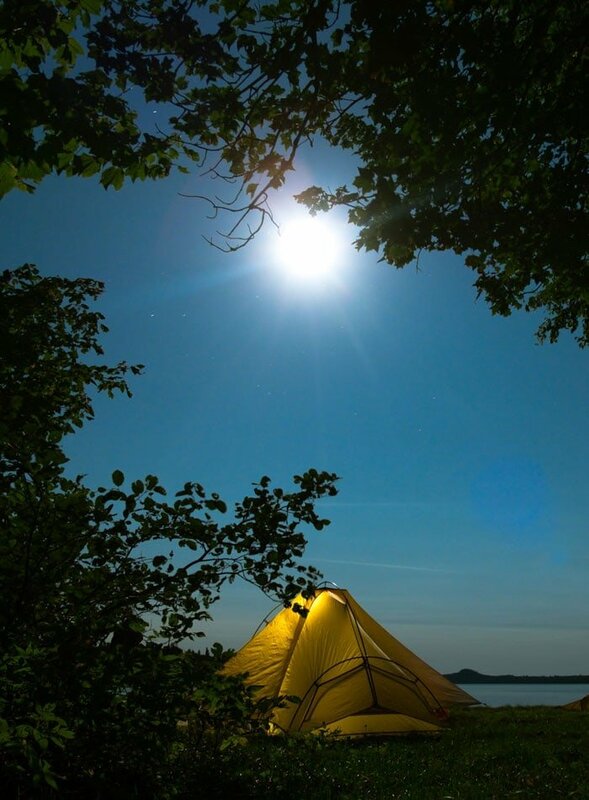 It would be a different list for backcountry camping but hopefully you can still find some ideas if you’re doing an overnight backpacking trip. We aren’t sure if we’ll be able to have a fire yet so we’ll have a propane camp stove with us for cooking. If we can have fires, we’ll definitely be cooking over the fire when we can and of course, roasting marshmallows and hot dogs. Before we get into breakfast, lunch and dinner, let’s take a look at some vegan camping staples that I like to have on hand. 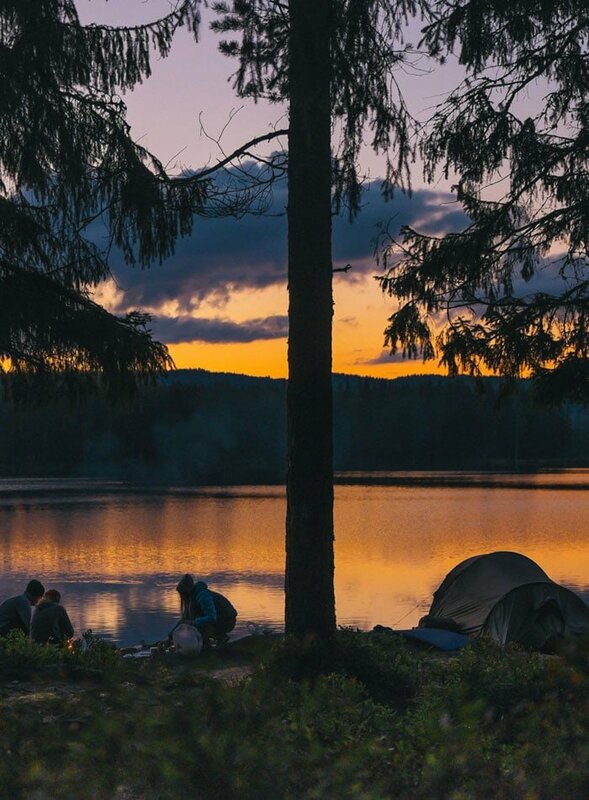 If you’re stocked up on those items, you’re ready to add in some specifics to create fun, healthy and tasty vegan camping meals. I would highly recommend doing some prep ahead of time, especially for snacks so you’re not relying on processed snack foods. Alright, let’s get into the good stuff: vegan camping food ideas, meals and recipes! Vegan camping breakfasts are easy and don’t differ much from any breakfast you’d make. I always make pancakes at least once and then rotate between the other breakfast ideas below. 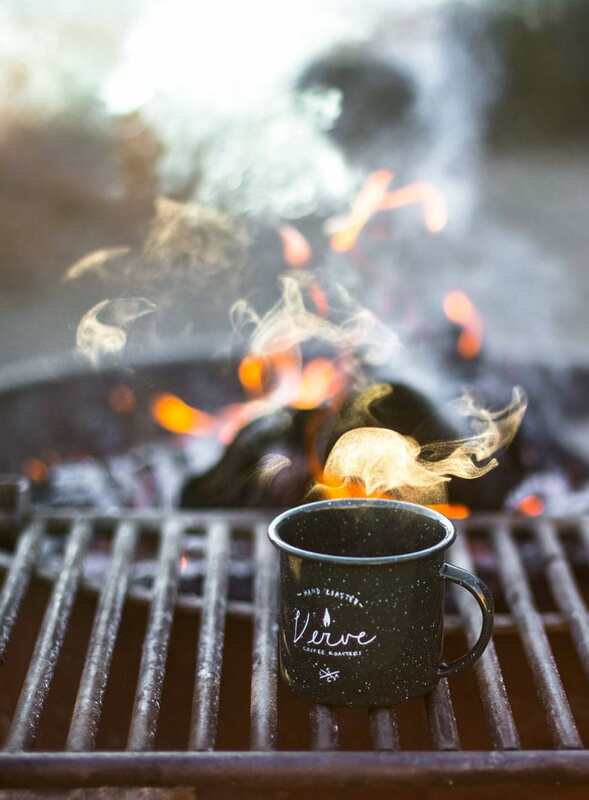 There’s nothing better than enjoying breakfast outside with a fresh cup of stove-top coffee on a beautiful morning. Pancakes are a must-have for camping. They’re probably my favourite camping meal. You can use a pre-made pancake mix but I usually just make a very simple recipe of flour, baking powder, salt, stevia and water. I mix that up and cook it stove-top. We top our pancakes with pure maple syrup or peanut butter and jam with fresh fruit. So good! Oats are so easy for camping and you can customize them to whatever you feel like or have on hand. I cook them up in a small pot on the camp stove with sweetener and almond milk and then we load them up with toppings like nuts, seeds, raisins and fresh fruit. You can also prep overnight oats in advance for a no-fuss breakfast you can dig right into. Once you’re camping and have eaten the first batch , use the jars to prep another batch for the next day. Or, if you prefer, you can make grain-free, oatmeal-style nut and seed bowls using coconut, nuts, seeds and dried fruits and topping with almond milk. These are really easy to make especially near the end of your trip when you have veggies you need to use up. You can used crumbled firm tofu or mashed chickpeas to make egg-inspired scrambles. Simply fry them up in a pan with veggies, nutritional yeast, salt, pepper, garlic and a dash of soy sauce. If I remembered to bring turmeric, I’d add that in too. You can also use your scrambles to make breakfast burritos. These are an easy way to make hash browns on the fire. Just wrap a bunch of thinly sliced potatoes in foil with garlic, salt, pepper and some vegan butter or oil and toss on the fire until they’re tender and nicely crisped. You can make this in a pan too but I like the ease of cooking it in foil on the fire so it frees me up to get some other items ready. Before you head out, food prep some homemade baking you can take along for breakfasts and snacks. Muffins and breakfast cookies are my favourite. Serve them with fruit, peanut butter and jam and you’ve got another super easy camping breakfast option. Pack a box of store-bought cereal or bring homemade granola and you’ve got a super easy breakfast option, no cooking required. I like my granola or cereal with sliced banana, fresh berries and almond milk. That and a cup of camp stove coffee and I’m one happy camper. There’s something about a plate full of hearty breakfast food that is just good for the soul. When I’m camping, I’ll usually do one day of a full-on, “bacon and eggs” style breakfast. To make a vegan version of “bacon and eggs” I’ll cook up some store-bought vegan breakfast links or bacon, make a batch of scrambled tofu, cook a potato hash over the fire in tin foil and serve it all with toast, sliced avocado and fruit. I like to keep camping lunches super easy with minimal clean up so we can get right back to important things like reading, listening to tunes, swimming and relaxing. My go-to camping lunches are sandwiches and wraps. They’re easy, don’t require any cooking, the clean up is minimal and they can be made accordingly to each campers preferences. Of course, you can use any of the vegan camping dinner ideas below for lunch as well, and vice versa. There are a few ways you can make corn while your camping. I’ve done everything from cooking it on the fire right in the husk to shoving it on a roasting stick and cooking it over the fire that way. The quickest way is probably to boil it and it always tastes great like that. You can also chop the cobs into smaller chunks and wrap them all up in foil with butter and cook on the fire. 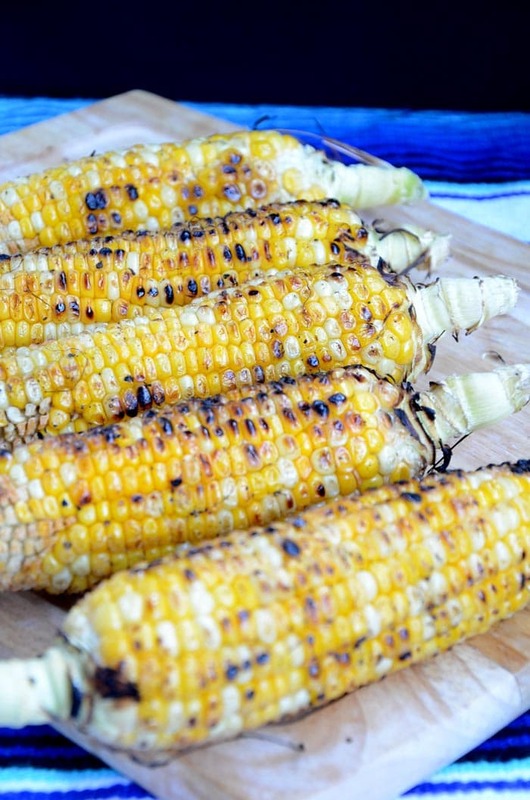 No matter how you cook it, fresh corn on the cob is camping must-have. As easy as can be and always delicious. Sliced banana in there is always a favourite too. You can make these on bread or rolled up in a wrap. I’ll usually grab a pack of store-bought vegan sandwich meat to bring camping. Quick lettuce, tomato and “turkey” sandwiches with mustard and avocado or mayo are easy and taste great. I love a good soup and sandwich while camping. It’s easy, comforting and tastes great. I usually bring a long a few soup options or a can of Amy’s Chili and we’ll have that with hummus, avocado, tempeh and lettuce sandwiches. 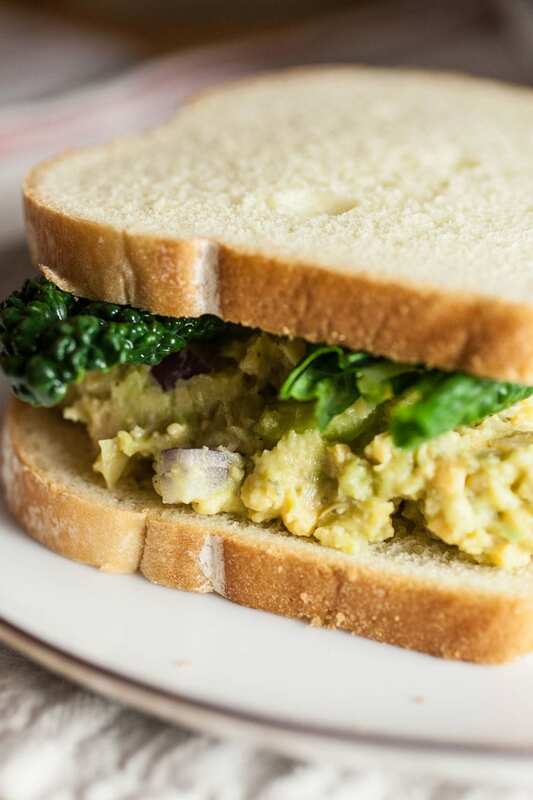 Pack some canned chickpeas and you’ll be ready for easy, chickpea “tuna” salad sandwiches. I like to make mine with mashed chickpeas, diced pickles, celery, red onion and either vegan mayonnaise or avocado. Y0u can eat the mixture as is or pile it into a sandwich or wrap. You can use this recipe, this recipe or this recipe for chickpea salad inspiration. I like canned soup or chili, or boxed vegan mac n’ cheese for super quick and easy lunches with little prep and clean up. The obvious, go-to choice for camping meals! Make your own ahead of time or go with store-bought, either way, this meal is a cinch and always delicious. For store-bought I like Field Roast sausages and burgers. Grilled portobellos are awesome too for an alternative to veggie burgers. We always have a nice, big salad or a side of veggies to go along with our burgers or hot dogs. I’ll pack a few containers of pre-washed spinach and some store-bought salad dressing for making quick and easy salads. Try a Strawberry Spinach Salad by adding red onion, nuts and sliced strawberries or a Chickpea and Bell Pepper Salad by adding canned chickpeas, diced bell peppers and zucchini. 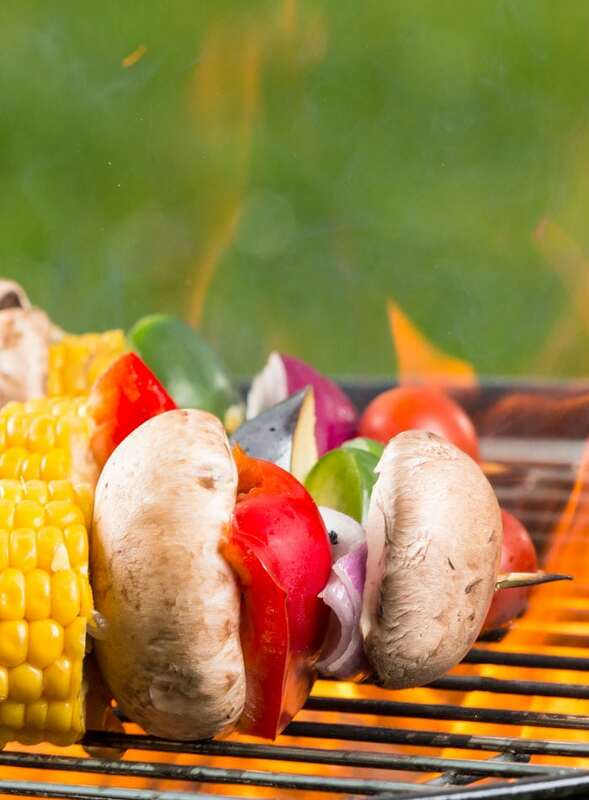 Grilled corn, pasta salad, potato foil packs or any grilled veggies also work well. Kabobs are healthy, customizable, super easy and another one that’s good for the end of your trip when you need to use up left over veggies. Use any veggies you want, plus some marinated chunks of tofu and grill until tender but crisped. If you can’t have a fire, pasta is really easy meal to make while camping. You can make it in one pot by cooking your pasta first, draining and then just adding in the sauce and any veggies you like to heat them up. I usually just stir in a bunch of spinach and store-bought pasta sauce to keep it simple. For a treat, I love making some garlic bread to go along with this. To make amazing vegan garlic bread, get a baguette and spread it with vegan butter, lots of minced garlic and nutritional yeast then toast over the fire or on a pan on the camp stove. You can also wrap it in foil and cook it stove top or on a grill over the fire. These are super easy for camping too. To make them, slice a block of firm tofu into half, then cut those halves into two thinner squares so you have 4 “steaks”. Marinate them in a ziplock bag with soy sauce, maple syrup, salt, pepper and garlic and then grill them until brown and crispy. Serve on their own with a side of veggies, on a sandwich or in a salad. I love these and they’re so easy to make camping. Basically, it’s set it and forget it plus you can throw in whatever you feel like. Potato, garlic, mushrooms and onion are a must-have in mine then I’ll add in whatever else I have on hand. Heartier veggies like carrots and sweet potato work well but you can add broccoli, zucchini, bell peppers, cabbage or anything else you feel like! We’ll have veggie packs as a side to go with veggie dogs or burgers. This is another favourite of mine for camping. I like making them with tortillas, canned refried beans and/or black beans, lettuce, tomato, salsa, vegan cheese, avocado and grated carrot. Try wrapping them up on foil and heating them on the grill over the fire so the cheese melts. Serve with tortilla chips and salsa. Tacos are also super easy to do camping. I crisp some tempeh in a pan and serve in corn tortillas with salsa, avocado, carrot and lettuce. Easy, healthy and delicious! These are really tasty and easy to make while camping. To make them, simply slice a zucchini down the middle and place on some foil. Load it up with pasta sauce, garlic, chickpeas, onions, vegan cheese and/or nutrition yeast or anything else you can think of. 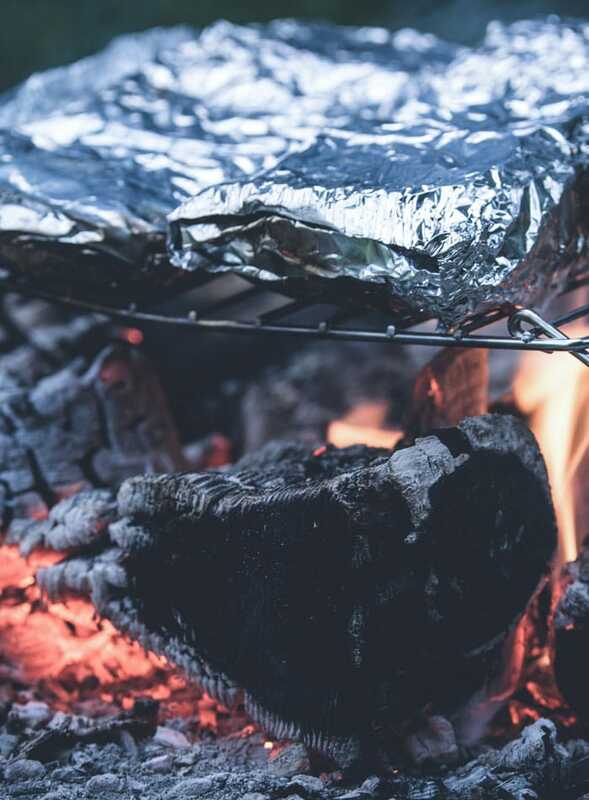 Wrap it up in the foil, place on the grill over the fire and let them cook away for about 20 minutes. So good and so easy! Sometimes we head out at the drop of a hat and don’t have time to meal prep and plan in advance. No worries, there are so many wonderful packaged foods out there you can bring along if you don’t have time to make your own. Here are my favourite packaged snack foods to bring camping. For vegan cheeses and other dairy alternatives, I like Daiya Provolone and Cheddar Slices, Earth Balance cheese, Daiya Greek-Style Yogurt, Tofutti Sour Cream, So Delicious Yogurts, Tofurky meat substitutes, Field Roast sausages and burgers and Silk plant-based milks. 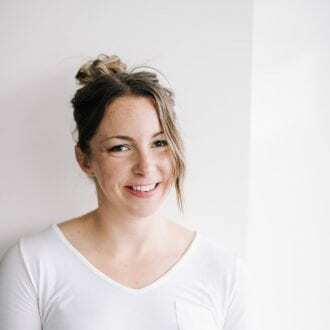 There are also some incredible companies in Vancouver making vegan cheeses out of cashews, coconut and other nuts and seeds, check your local markets to see what might be up and coming in your area. 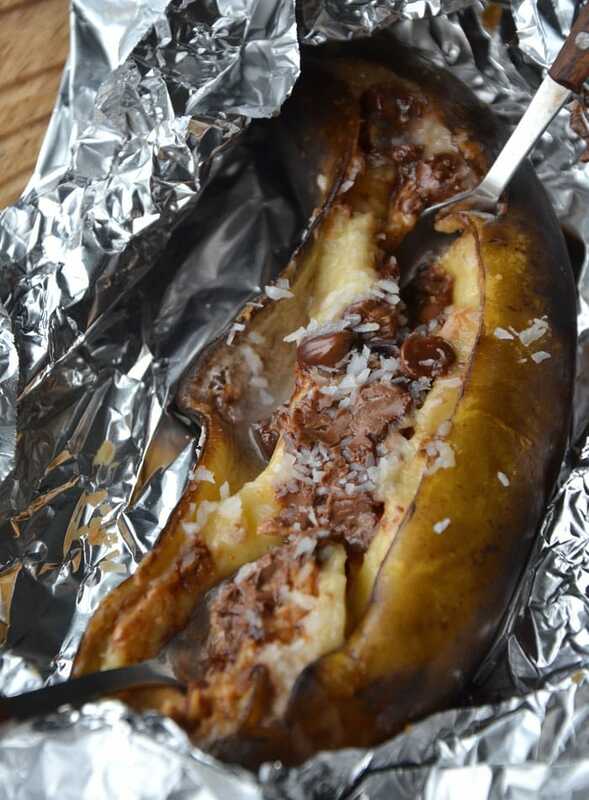 Campfire banana boats are a camping must-have as far as I’m concerned. 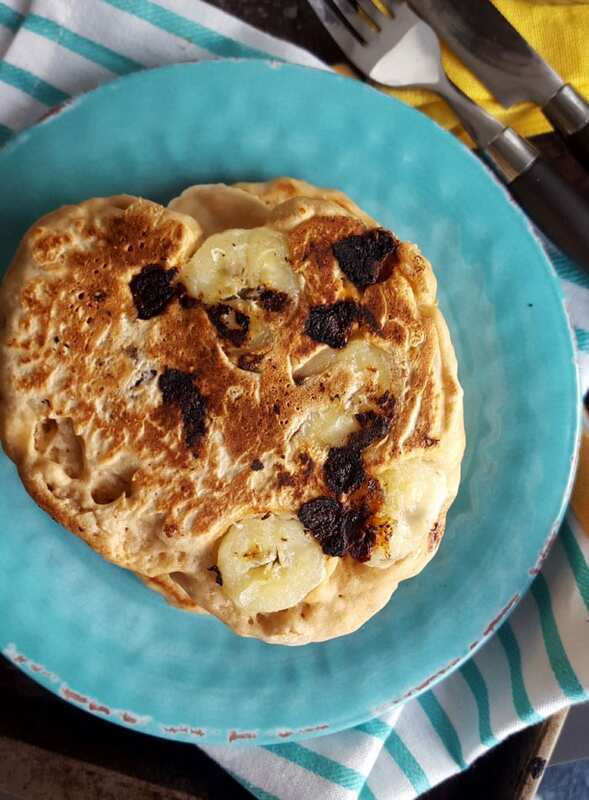 All you need is foil, bananas and all the yummy fixings. Think chocolate, peanut butter, marshmallows and maple syrup. Oh baby. To make them, slice a banana through the skin lengthwise being carful not to slice all the way through, load in your toppings, wrap it all up in foil and cook it on the fire for about 15 minutes. I like adding granola once it’s finished too. These are amazing! These are just like the banana boats but you’ll need to pre-bake the sweet potato before adding toppings. Pierce the sweet potatoes with a fork, wrap in foil and cook on the fire until fork tender. Remove and carefully open, adding in your toppings then placing back on the fire for about 10 minutes. These are THE BEST and can be made as healthy or as decadent as you want. 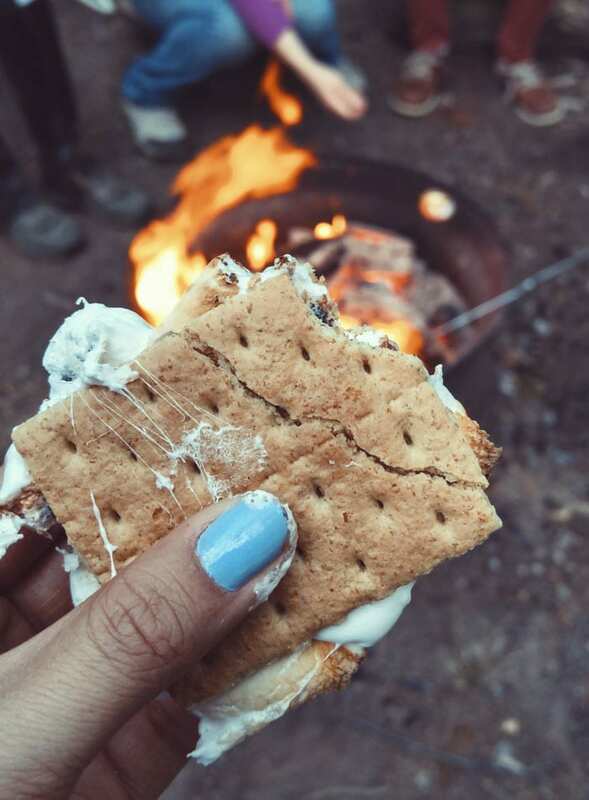 Camping isn’t camping without s’mores. 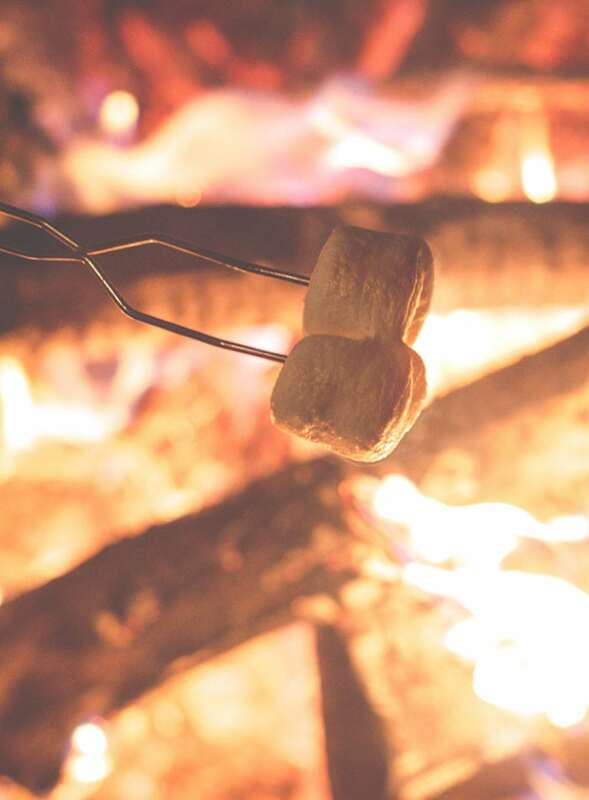 If you want to keep your s’mores vegan, you’ll need to pick up some vegan marshmallows and graham crackers. I recommend Dandies and S’Moreables. Once you’ve got those two covered, the chocolate is easy. There are loads of amazing, dairy-free chocolate options available. I recommend a nice, organic dark chocolate from brands like Green & Blacks, Pascha or Alter Eco. 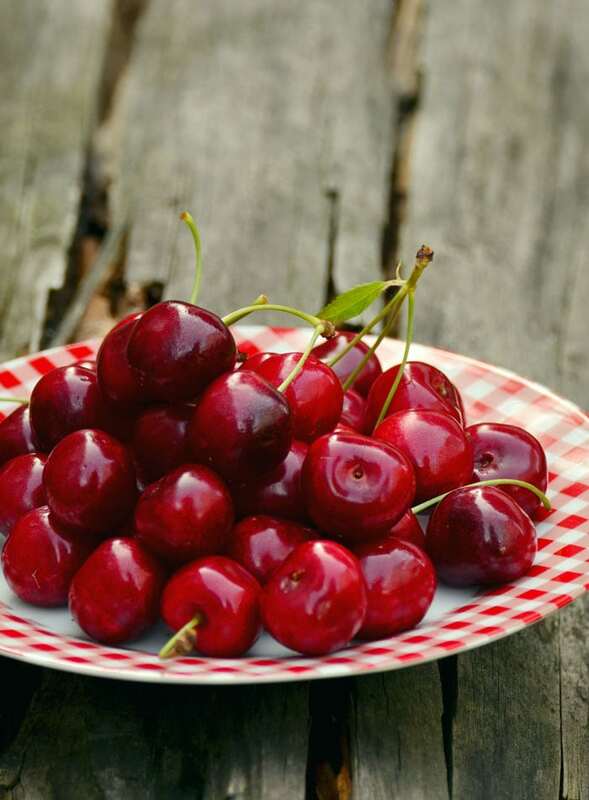 Grilled fruit is super easy and perfect for the summer when many fruits are in season. Simply, slice them up, brush with maple syrup and grill until slightly soft and they have some nice grill marks. You can also slice them up and cook them wrapped in foil with maple syrup. Both are good topped with more maple syrup and a sprinkle of cinnamon and nuts. 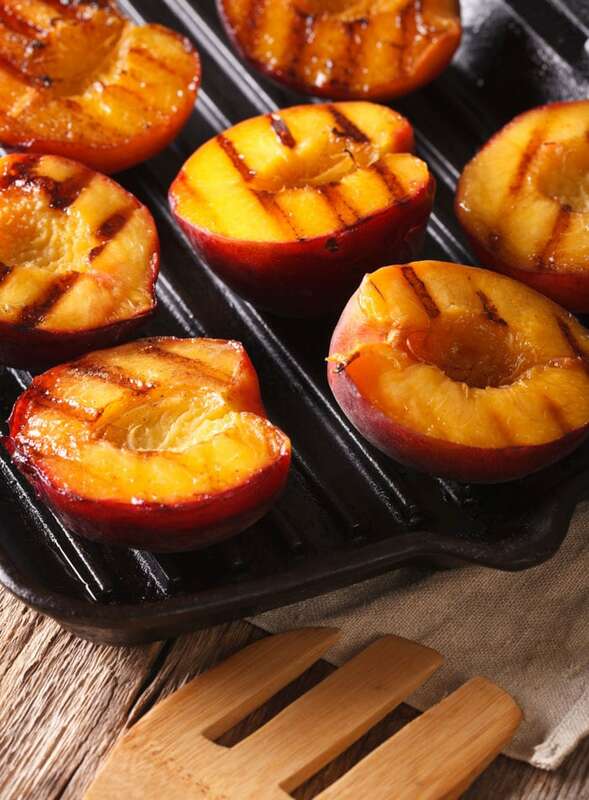 My favourites fruits for grilling are peaches, nectarines and pineapple. You can even grill watermelon slices or cut up chunks of fruit and do grilled fruit kebabs! Soooo yummy and so much fun, especially for kids when they can build their own kebabs. You can even make a quick chocolate dipping sauce by melting some your s’mores chocolate in a small pot over the fire or stove top. Alright, hopefully all those vegan camping food ideas got you pointed in the right direction. Now it’s time to make a meal plan and creating a detailed grocery list for your trip. Try not to feel overwhelmed when making your meal plan. If you have time, the more you can do in advance the better. You can always chip away at a bit of meal prep and freeze it until needed. When in doubt, grab all the staples I listed plus fresh produce and you can’t really go wrong. When I actually go camping in a few weeks I’ll make sure to snap some photos of everything from start to finish so you can see just how easy and yummy doing a plant-based camping trip can be. Oh, and if you’ve got a bit of a road trip just to get to your campsite, check out my post on healthy vegan road trip snacks. Let me know if you have any questions! Damn girl – this camping menu looks better than some of my at-home meals! I’m going camping for the first time in the next few months, so this is perfect timing. I never would’ve thought to make stuffed zucchini while camping, but I LOVE it at home! Haha! Ooh, first time camping, that’s so much fun! I little planning goes a long, long way. Just keep it simple and it will be awesome! Camping food is probably the best part of camping, lol. Something about food made over the fire just makes it sooooo good 🙂 have an amazing time! Such a comprehensive list!! We just went camping and used a lot of similar things as you. I prepped some things ahead of time so all we had to do camping was reheat it. It made the mornings much easier! We also bought a Presto “MyJo” coffeemaker which you just need hot water for and can use kcups with (or regular coffee grounds). We loved it!! Cool, I’ll have to check that out! I’m going to start prepping a bit this weekend and freezing it until it’s time to go 🙂 Will make life so much easier 🙂 Thanks for your comment. Love these vegan ideas! We went camping last weekend and I just ate junk so it’s great to have some helpful tips! Ooh, like camping, that’s so much fun! Great post. I feel like we should know each other because our camping plans are so alike. Thanks for the suggestions! This post led me to your amazing pancake recipe. Can’t ever go back. haha, that’s awesome! Pancakes are extra, extra delicious when camping, aren’t they? This is so interesting to found some delicious camping food ideas. Thanks Deryn for sharing this camping food ideas with us.